Click the numbers in the key plan for details of the items. 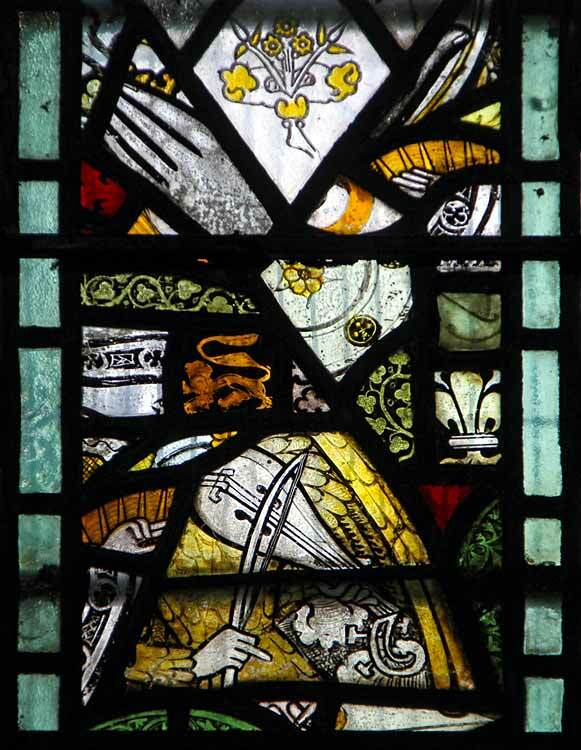 The window contains fragments of 14th century and 15th century painted glass that were discovered buried in the churchyard. 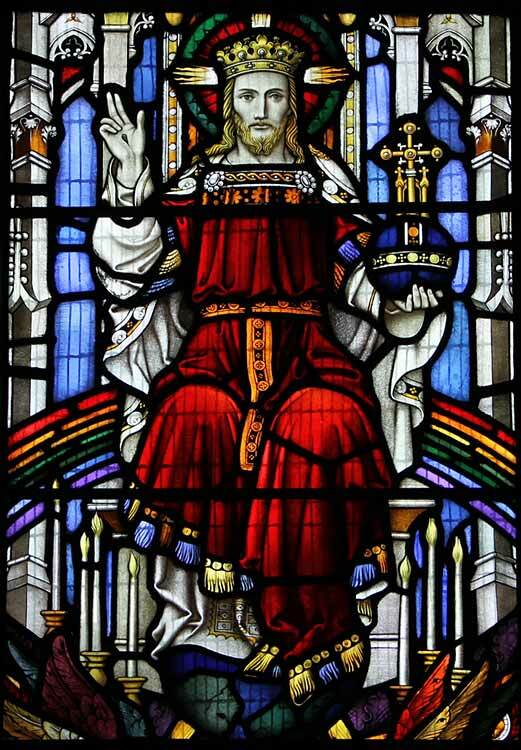 The window contains clear glass with a coloured border. 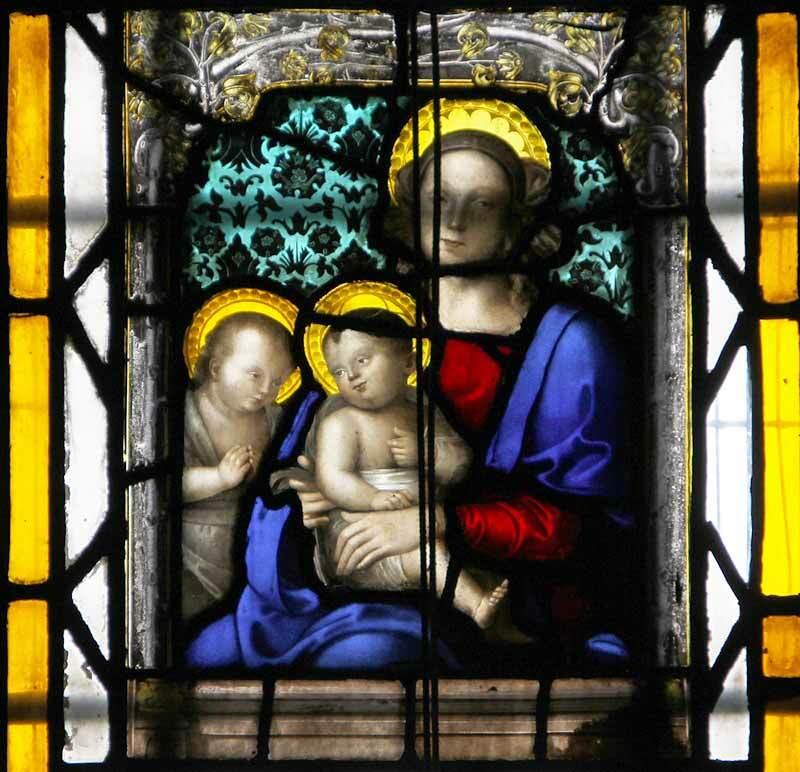 There is a stained glass panel in the centre, copying the design of an Italian Renaissance Madonna and Child with John the Baptist. IN MEMORY OF RICHARD CHAMBERS F.L.S. AGED 74 1858. 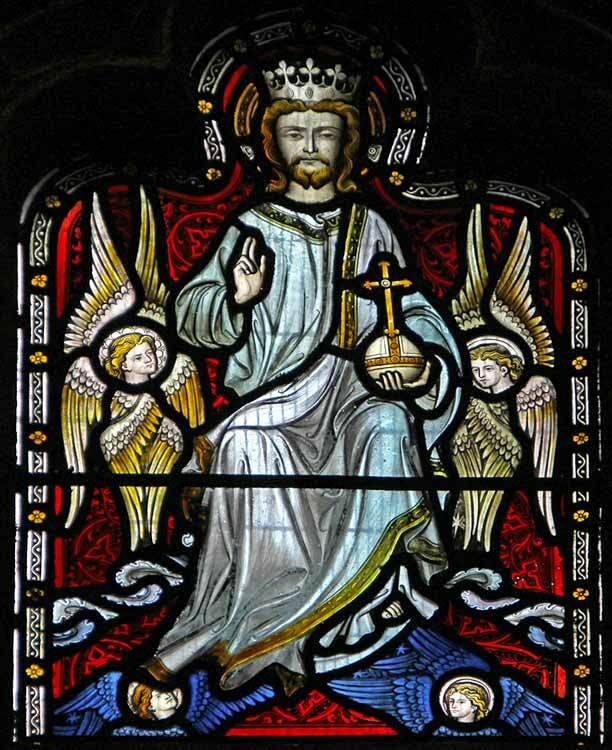 The east window depicts 'Christ in Majesty' and commemorates William Deeping Warwick of Balderton Hall. He was chairman of Warwick and Richardson, the Newark brewing firm, and a member of Nottinghamshire County Council. He died 30 May 1913 aged 69. 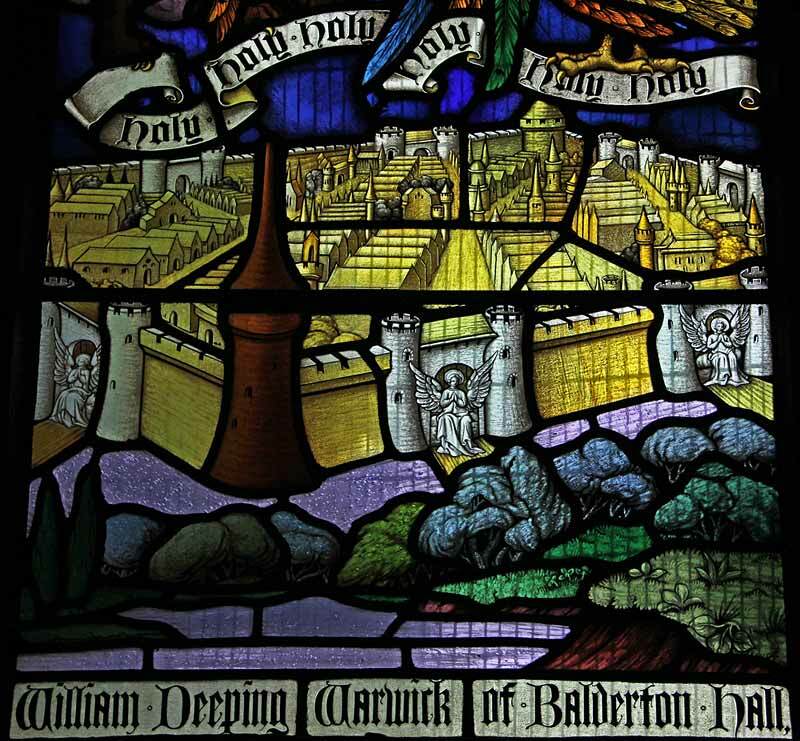 + In loving memory of William Deeping Warwick of Balderton Hall, died May 30th 1913. The window is possibly by Clayton and Bell. 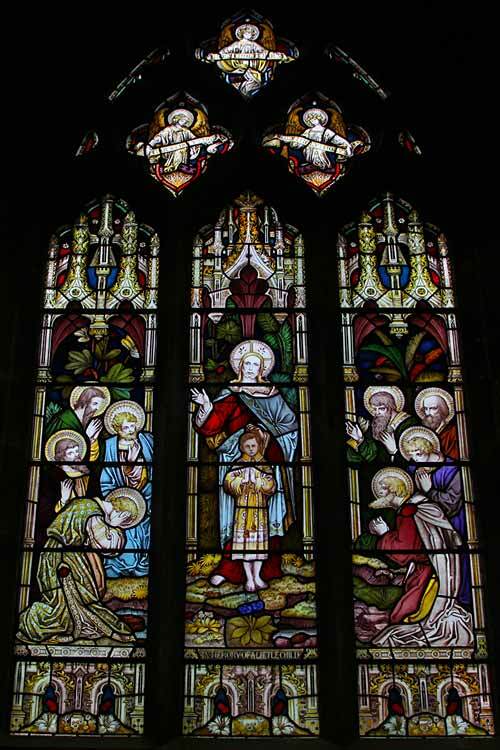 The subject of the window is The Adoration of the Lamb. It was made by Hardman & Co. of Birmingham and installed in 1871. 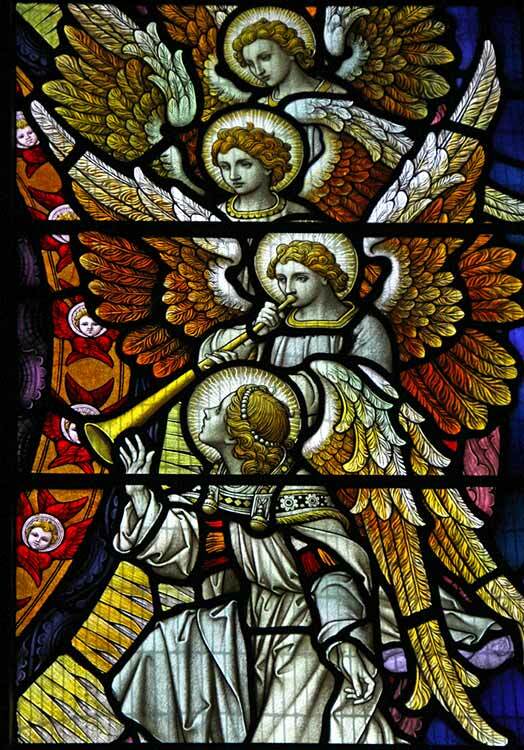 Dedicated by Mary Sikes to the glory of God & in memory of Joseph Sikes, priest L.L.B. deceased April 21 1857, & of Francis Sikes her husband, deceased March 4 1870. 7. 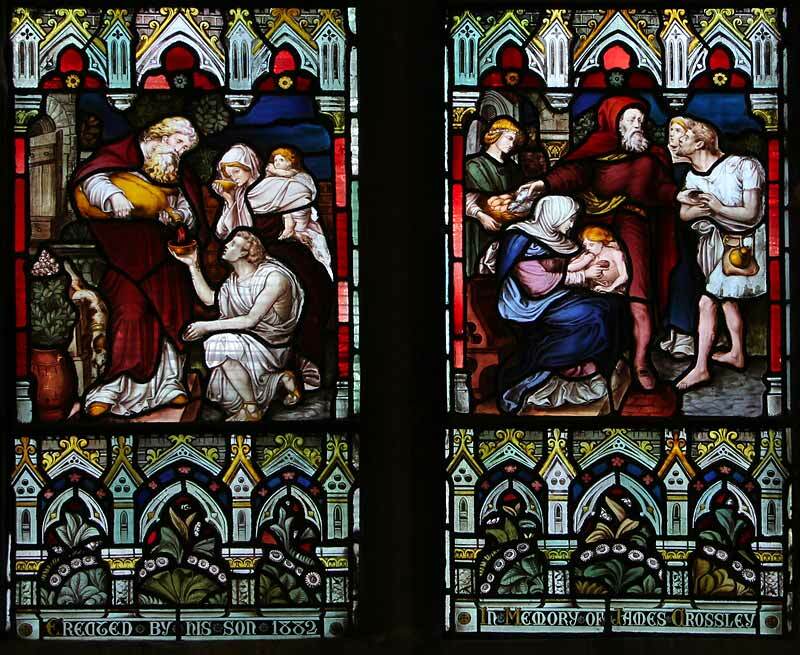 The window depicts the scene from Genesis 18 where God and two angels appear to Abraham to announce that he and Sarah will have a child in their old age and to direct him to visit Sodom to see if he can find any 'righteous people' there. 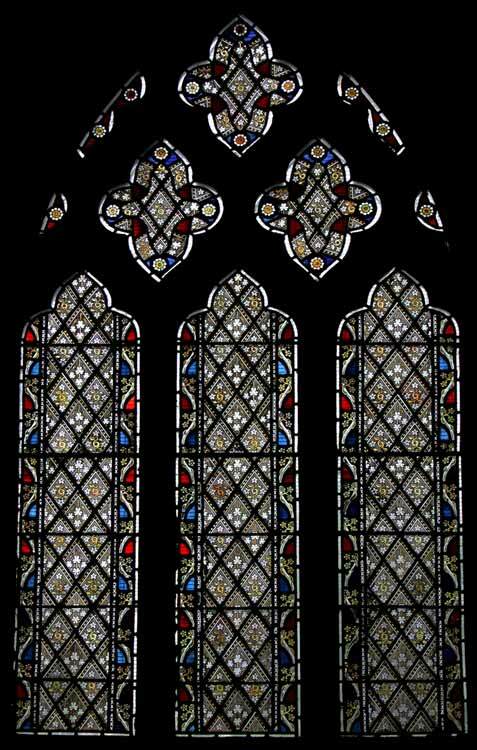 The window is in memory of John Bakewell (died 1888) and his wife Emily (died 1886) of Balderton Old Hall and is dated 1889. 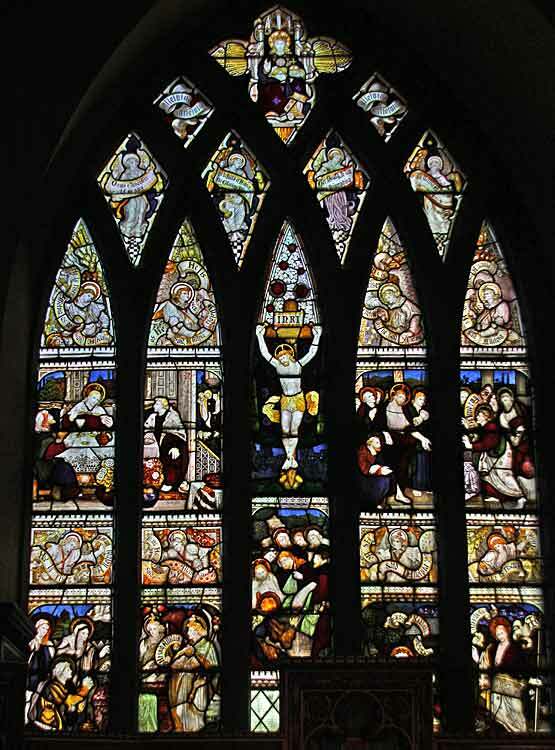 This window was erected by Parishioners of Balderton and Friends. A.D. 1889. 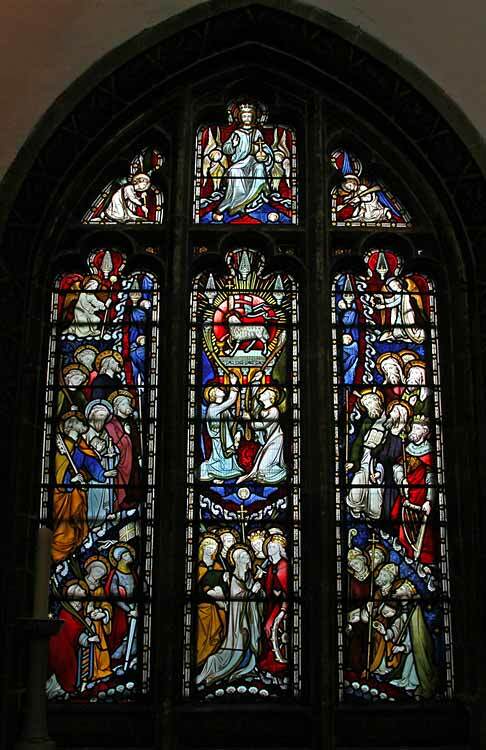 The window was commissioned by Matthew Harvey and commemorates Ann and Mary Harvey. 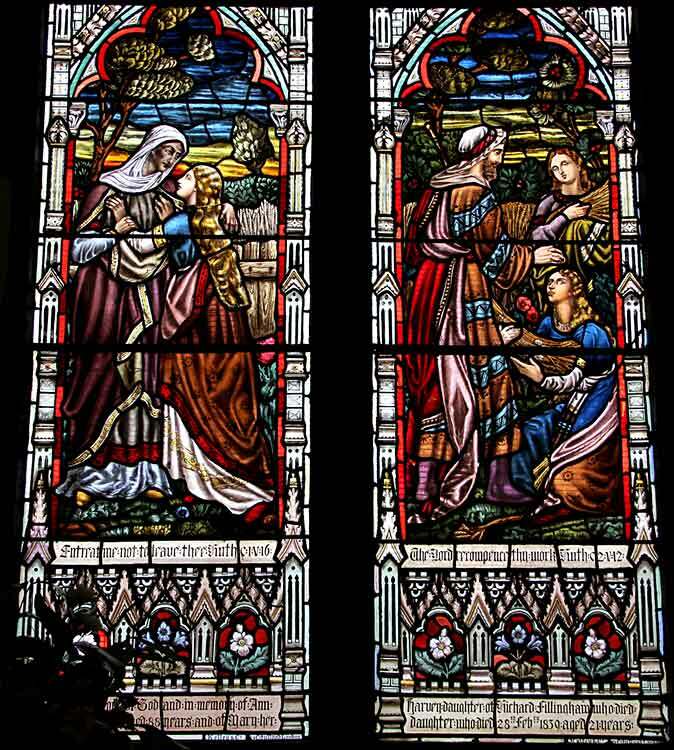 It shows scenes from the Book of Ruth: Ruth begging Naomi not to send her away and Ruth meeting with Boaz in the harvest field. The window contains clear glass. 10.The window contains clear glass. 11. 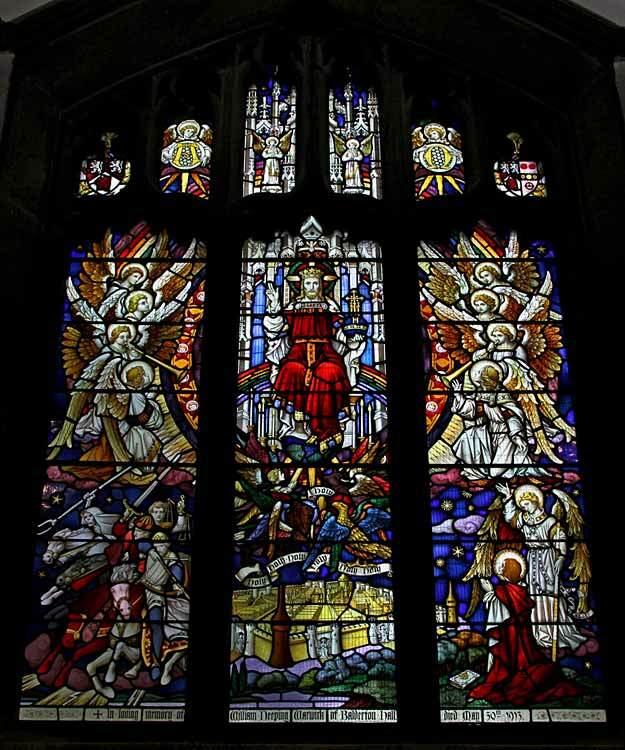 There are borders down the sides of the three lights of the window, depicting a vine with sprays of blossom on a blue and red background. Inside the border are diamond quarries with plant motifs. 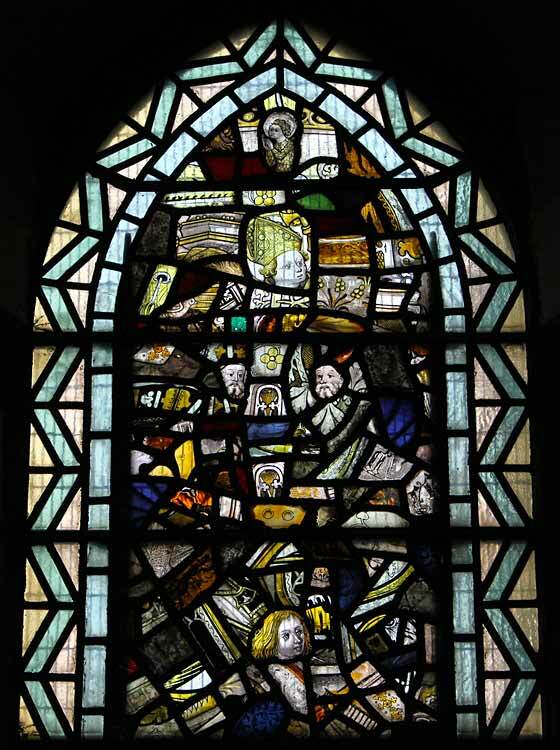 The window shows four acts of charity: welcoming the traveller, and giving alms of clothing, food and drink. 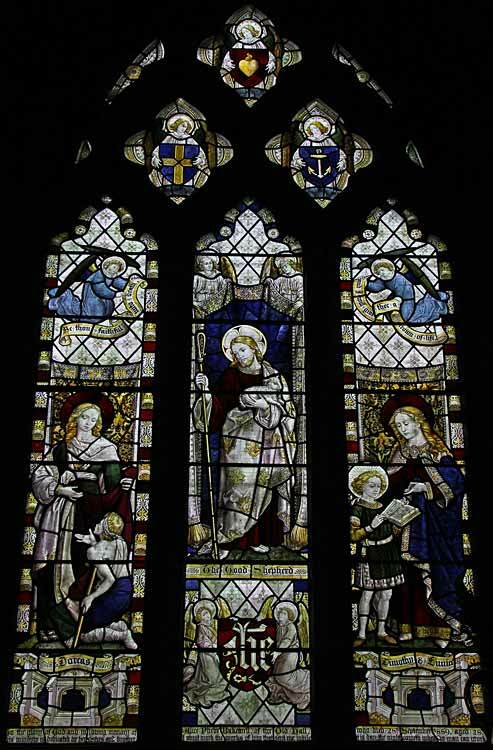 It was commissioned by John Crossley of Newark to commemorate his father, James Crossley. 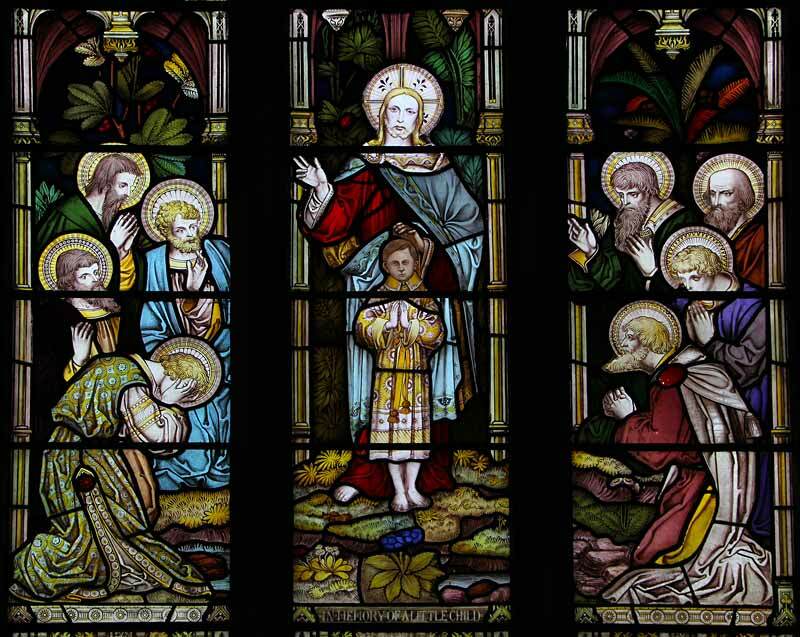 The subject of the window is Christ blessing a little child, surrounded by the Apostles. It was designed by Daniel Bell of London. In Memory of a Little Child. DIED JANUARY 8TH 1880 AGED 5 YEARS. 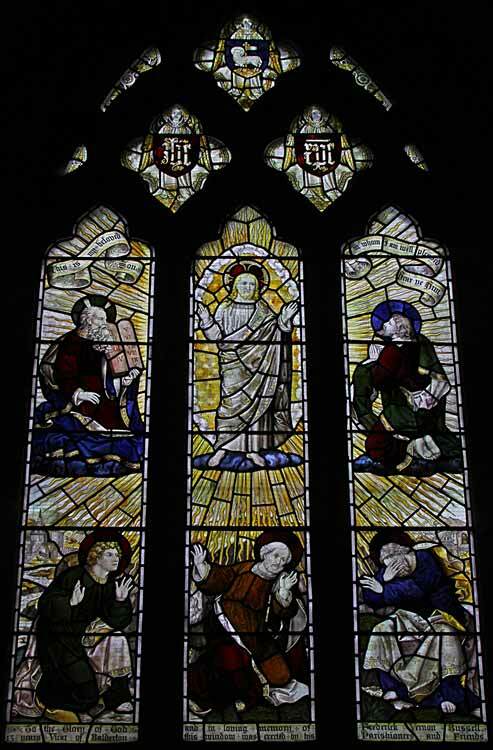 The window depicts The Transfiguration and is dedicated to the memory of Frederick Bussell, vicar of Balderton 1878-1892. He died of pneumonia in February 1892 aged 45. The window is by Burlison & Grylls. 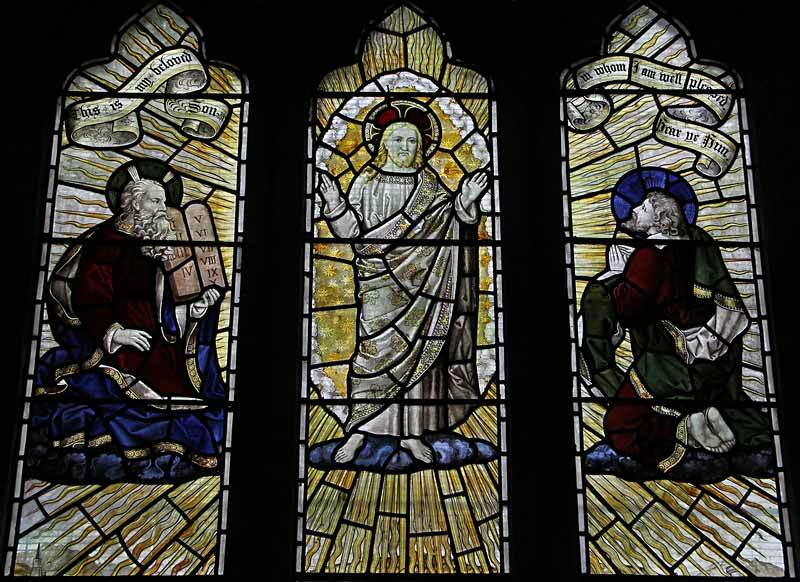 The window shows Christ as the Good Shepherd, carrying a crook and a lamb. The lefthand light shows Dorcas offering clothing to a crippled beggar. 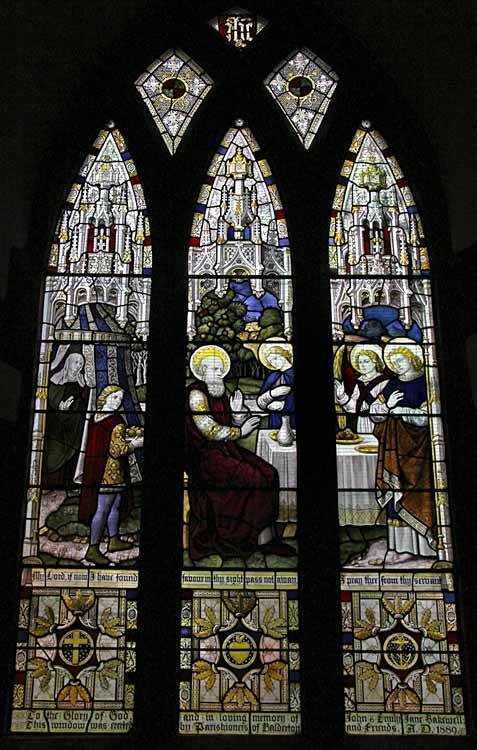 The righthand light depicts Eunice teaching the scriptures to her son, Timothy, who became a preacher and follower of St Paul. 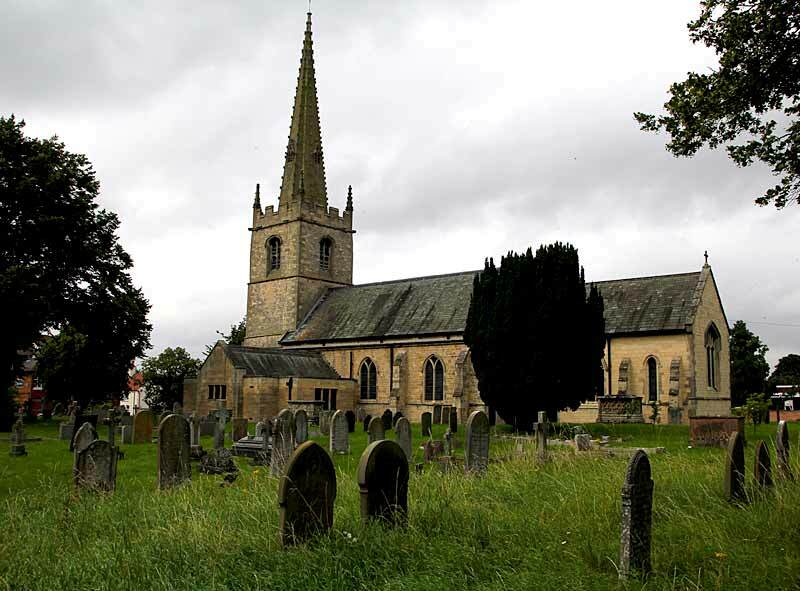 It is dedicated to Alice Phebe Bakewell of Balderton Old Hall and is probably by Burlison & Grylls. 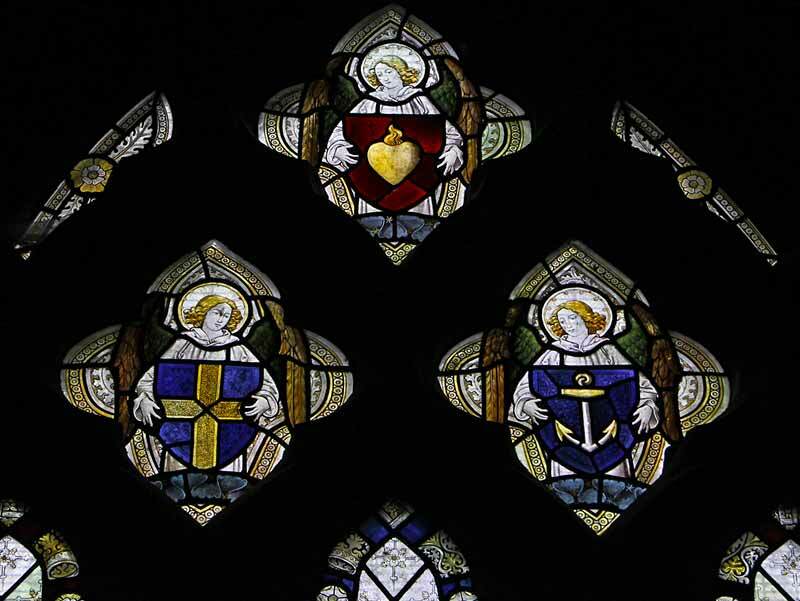 To the Glory of God and in loving memory of Alice Phebe Bakewell of the Old Hall, who died 28th September 1889, aged 28. 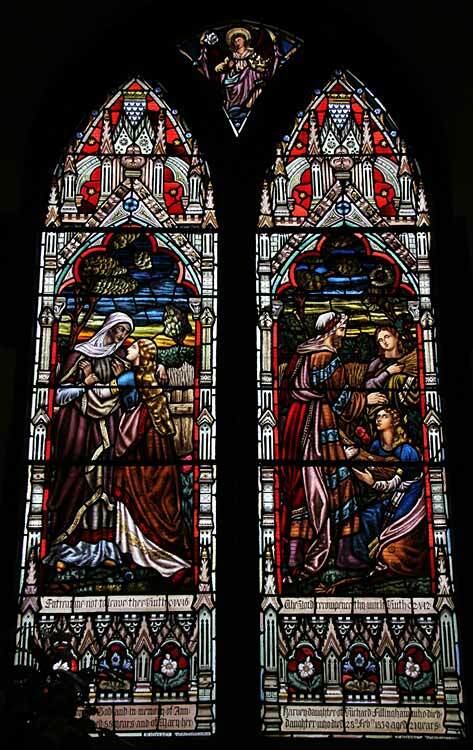 This window is dedicated by her sisters and brother. 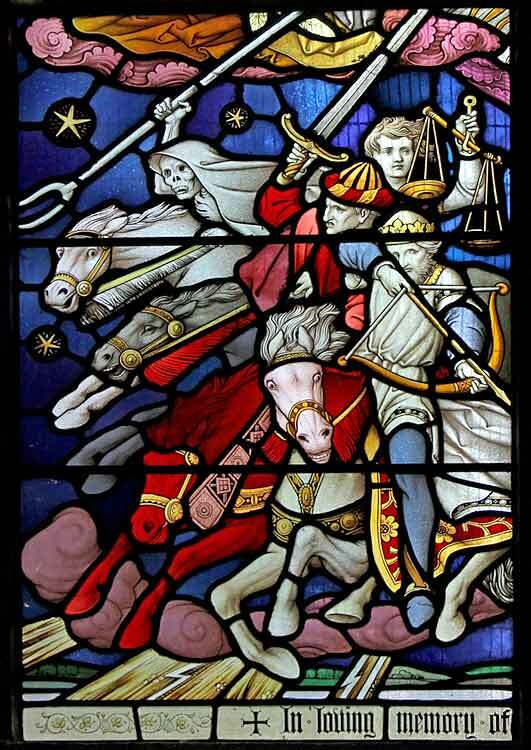 I must work the works of him that sent me while it is day; the night cometh when no man can work. 16.The window contains clear glass. 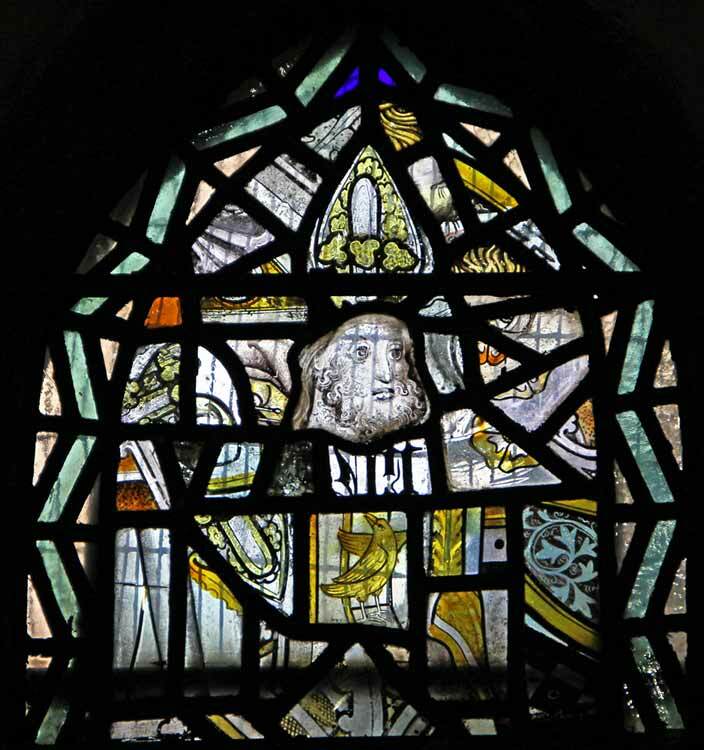 17.A small window in the west wall of the porch showing St Giles, with his forest companion, the hind. 18.A small window in the east wall of the porch showing Christ, as the Good Shepherd, carrying his crook and a lamb across his shoulders, with two lambs on either side.